That is a welcome sight. What a sweet gift your haiku and image are on this almost Spring day! I love the tenacity of the bulbs and the joy they bring! 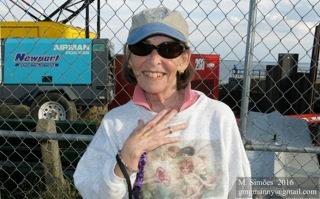 Thank you Carol! They make the struggle to survive look effortless. It´s a very nice haiku. I like the photo too ! 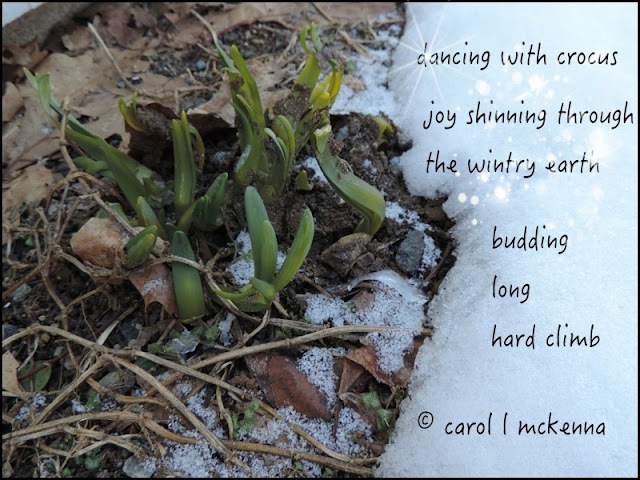 beautiful, descriptive haiku and photo Carol. happy weekend! Isn't it exciting to find a bit of green popping up with the promise of some sunny yellow blooms?! Signs of Spring coming, YAY!! Enjoy your week! Sounds like spring is coming to the north country at last! thank you friend for this beauty so freely expressed and all your generous and compassionate healing. it is lovely to be back among the flowers!